The Sandbox is the possibly the most powerful and dangerous Blox addon available. It acts just like your theme’s functions.php file but gives you more control. When enabled, the sandbox editor is accessible from the Blox Settings page. See the screenshot below. In this text box, you can add nearly anything that you could add to your functions.php file. As the placeholder states, with great power comes responsibility. If you make errors in your PHP, there is a good chance you will break the frontend of your website. That said, you can always comeback to this page and make edits. For syntax, do not wrap your code in <?php and ?>. The textbox is expecting PHP. This setting provides you with a quick and easy way to disable all Sandbox PHP. This option can be very dangerous. 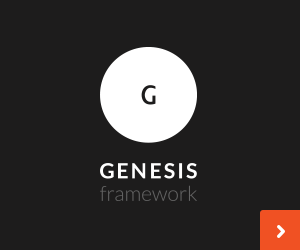 There are many functions you may want to run that need access to the admin, such as adding/removing Genesis layout configurations, widget areas, etc. These functions will not work correctly unless this box is checked. But if you enable, your custom PHP code is run at all times. This means that if you don’t know what you doing, you can easily break both the frontend and backend of your site. You have been warned.